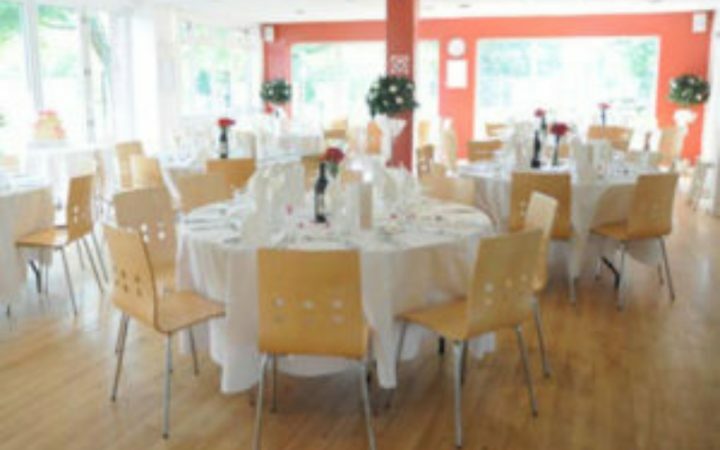 YMCA Hawker in Ham, Kingston is the perfect location for your function with flexible packages to suit all budgets. YMCA Hawker is a community centre situated in an idyllic location alongside the river Thames in Ham, a five minute drive from the centre of Kingston and offers a wide variety of function options for all occasions, whether it be for a corporate event, a birthday party, a celebration, a christening, a wake or a wedding reception with waiter service. 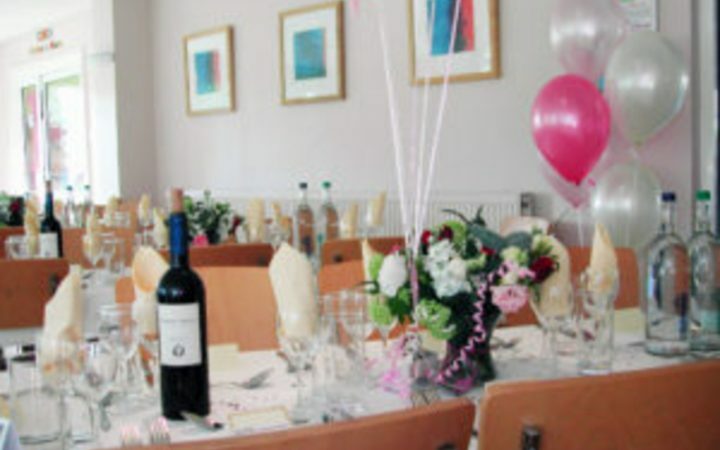 You can book catered or self-catered room hire, which features a beautifully decorated and stylish riverside restaurant plus a room with a sprung floor (perfect for dancing), as well as a fully licensed bar. For the warmer summer months, there is also a stunning outside terrace and a barbecue. We have a range of state-of-the-art audio visual equipment which is particularly useful if you have an exhibition or a ticketed event. You may wish to hire a DJ or a live band for your function and we can accommodate that, too. Our room capacity is 150 people standing, 70 seated and room hire starts at just £25. We have an exciting selection of menus ranging from £5.95 to £24.95 per head and we can provide classic finger buffet food to a sumptuous three-course meal. Our fully equipped bar and music is available until 11pm (corkage is available upon request). What’s more we are an inclusive facility with full disabled access with ample free parking. We are very flexible and will be happy to discuss your requirements to make sure we provide you with an unforgettable event for you and your guests. Call YMCA Hawker to arrange a visit so that you can see our excellent venue for yourself and talk through the options we offer. All funds raised will be used to support the community work of YMCA St Paul’s Group.